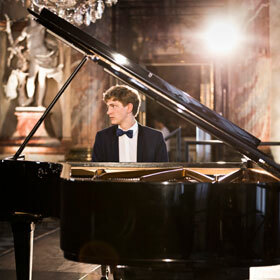 Night: it can be dreamy or com­fort­ing, but some­times it’s fright­en­ing, full of dark se­crets. 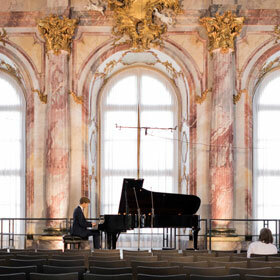 So it’s no great sur­prise that the long hours of dark­ness, often spent awake, have in­spired so many com­posers to write some of their most touch­ing works: Chopin’s dreamy Noc­turnes, for ex­am­ple, Schu­mann’s dain­ty “Nacht­stücke” or Ravel’s spine­chill­ing cy­cle “Gas­pard de la nuit”, pop­u­lat­ed by sin­is­ter fig­ures and dark pre­mo­ni­tions. 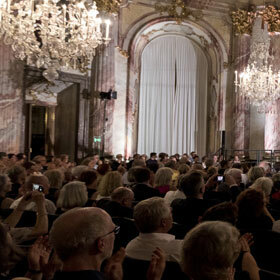 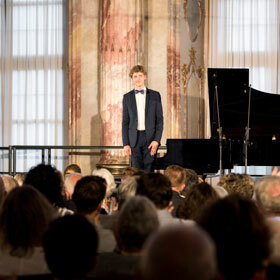 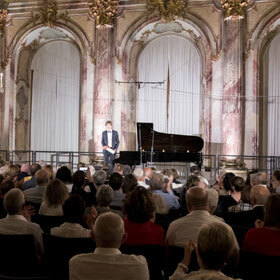 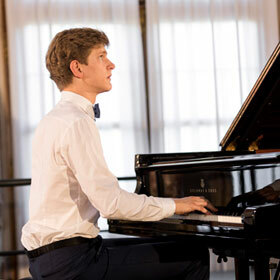 In his pi­ano recital at the Im­pe­r­i­al Hall at the Würzburg Res­i­dence, the young Cana­di­an pi­anist Jan Lisiecki, brings the spir­its of the night, both good and evil, to life; in his hands, Ravel’s goblin “Scar­bo” dances and the wa­ter sprite “On­dine” swims through the waves, dan­ger­ous­ly se­duc­tive.